In this quick guide, we investigate what bitcoin trading platforms are best for automated trading. The purpose of the article is to uncover current situation in terms of trading bots and APIs. In order to properly present the latest automated trading developments, we have divided the review into intern and external automated trading and platforms that offer them. We also provide a brief review of bitcoin trading platforms and functions. Lastly, we conclude the article with a recommendation for traders regarding automated trading platforms and warnings regarding scams. Related articles are crypto trading bots and crypto trading instruments. Apart from regular exchange and trade functions, there are tools that can help you in determining price trends. These tools are lumped in a category called automated trading, which consists of API programs and bots. They have one thing in common – they help an investor make bigger profits by accurately investing funds according to the analysis’ results. The algorithm solutions pinpoint events that would lead value of the crypto coins to rise or fall. Thus, it is important to use tools that make an accurate prediction and bring back value to their users. In this guide, we go over different trading platforms offering internal & external automated trading services as well as those that provide copying algorithms from other traders. Apart from exchanges and trading platforms, there are specialized sites that offer crypto trading bots that can be of great use to you. We have covered several of them, with different trading analysis and API aspects that you should be aware of. 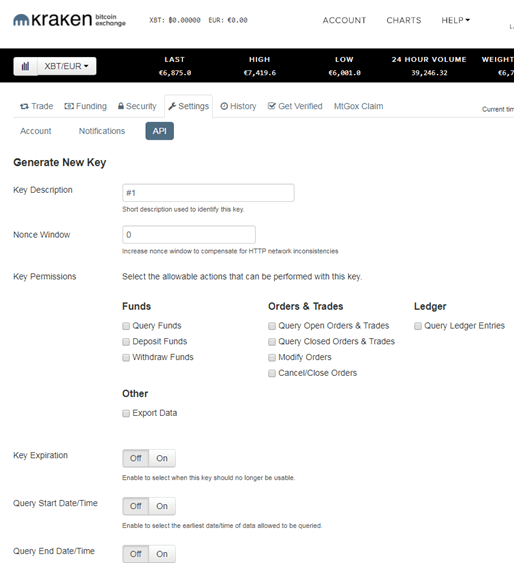 Gekko is an open source platform that allows users to download the tool and use them in trading platforms. It gathers market data from exchanges, executes orders as a trading bot and graphs result from trade. You can use Gekko’s trading bot free of charge and supports over 20 exchanges. It is fairly simple to program to use, aimed at automated trading beginners. Haasbot can be considered as one of the more popular bot providers in the crypto market. It orients towards experts, as it offers numerous stools that can be completely customized. These tools are StochRSI, MACD-Histogram, PPO, and Ultimate Oscillator to name a few, as shown below. The bot also offers candlestick pattern recognition and is featured in most exchanges, such as Bistamp, Huobi, CEX.io, and others. You have to pay a fee expressed in BTC, ranging from 0.046 BTC to 0.11 BTC, depending on the program. Crypto World Evolution (CWE) allows users to control their money flow through the use of API set in exchanges. It provides trading bots that make numerous analyses but also that works with your funds. Withdrawals, deposits, and payments are all controlled by users while the bot is aimed at professionals with experience. You also have the ability to copy trading bots and pre-arranged trade bots from other investors. 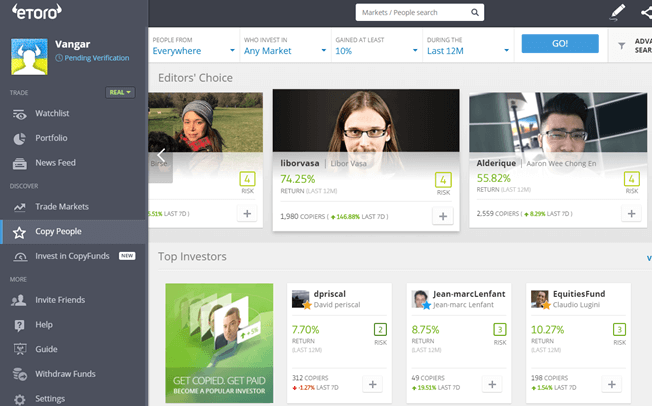 eToro, being a social trading platform, allows such occurrence. It offers a platform where experienced and successful clients put up their APIs for the general public to use. You can check out the API presentation below. An external platform that offers similar services is CryptoTrader, a platform where users can offer their trading bots in exchange for a value expressed in bitcoins. In both cases, you should be careful before you choose a tool to use since they are made with specific situations in mind. Although many of the bots and APIs are complex enough to do their job wonderfully, the analysis itself falls down to you. If you are a starter, who just got into the cryptocurrency trade, we would not recommend you to get entangled with automated treading just yet. You do not hold enough knowledge of the market nor the reasons why price changes. Without deep knowledge of the industry, no matter how good bot is, you will incur losses. These applications are merely tools to save time and help you react faster. Without background skills and knowledge, they are of no real use. If you were wondering how a bot is a scam, we can provide you with a really easy answer. These bots do not only pinpoint when funds should be invested but also use them as well. It means that bots take full control of your account and then send funds or coins to the wallet that cybercriminal holds. In addition to funds’ theft, your personal information, credit card details, and other personal information can also be stolen. You should work only with known API producers with history. Keep an eye on reviews and developments to keep your information and funds safe. 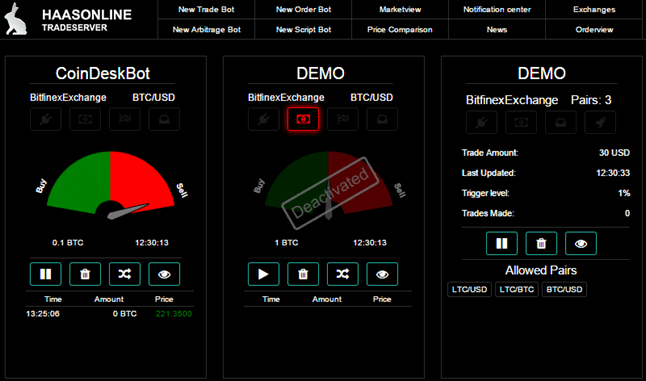 In this guide, we have shown you what bitcoin trading platforms are best for automated trading. We uncovered that copying bots and using internally-designed bots and APIs is something that starters should use. Coinbase, Kraken, eToro, and CryptoTrader all offer the service geared towards beginners since functions used are relatively easy to understand. On the other hand, experts have Haasbot and CWE uses sophisticated trading bots and programs that professionals will appreciate. In any case, you should be careful before you decide to use a trading bot. You need to learn more about the industry and possess extensive knowledge of the market as to know when and how to use trading bots.